For those in the United States who suffer from severe allergies that can result in experiencing an anaphylactic reaction — a severe, life-threatening allergic reaction resulting in constricted breathing, hives, or nausea — EpiPen is a crucial part of life. So how many people use EpiPens in America? Until last week, it wasn't quite part of a current national conversation. But then news broke that Mylan, the maker of EpiPens, has greatly increased their cost since 2009 when they charged about $100 for two devices. Now, the price is looming around $600 out of pocket (so in most cases, people only pay the full amount if they have no health insurance). Mylan has a monopoly on the market because it's difficult to bring a similar product to market due to testing and regulations. People, and parents of children, suffering from certain allergies (including but not limited to nut, bee, and soy allergies) who are recommended to possess the drug have voiced their anger over the rising price of the necessary, sometimes life-saving treatment. Stories have emerged of those who have had to either forgo purchasing the drug or trying to find alternate ways of obtaining the drug. Although Mylan has since announced that it will offer coupons for $300 off a set, that still leaves the price much higher than it was just seven years ago. So how many people are affected by the skyrocketing pricing? 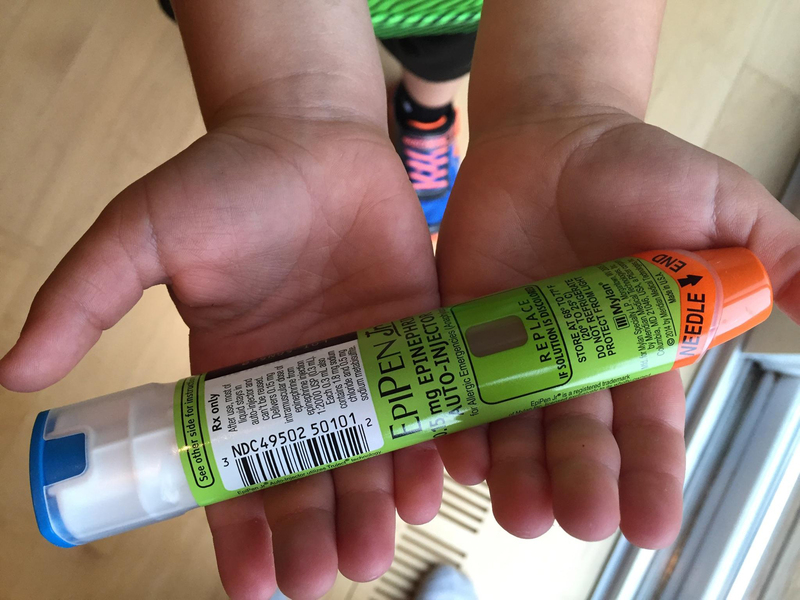 An estimated 3.6 million Americans were prescribed an EpiPen in 2015, as reported by the Wall Street Journal. According to the Food Allergy Research and Education, the Center for Disease Control reported that more than 300,000 ambulatory-care visits occur per year for children under the age of 18 because of food allergies. The questionable pricing from Mylan has ignited a familiar national conversation about the inflated drug market. Earlier this year, we learned that former CEO of Turing Pharmaceuticals Martin Shkreli raise the price of the drug Daraprim, taken for treatment of infectious diseases, to $750 per pill. He was indicted on security fraud charges in December, and left the company after that. Considering this isn't the first time someone has exorbitantly raised drug prices, it's a problem of a larger magnitude than one company being detested for it now. American government has no regulation on drug pricing. Therefore, pharmaceutical companies look at the competitive pricing in the country for similar drugs to determine their own. Essentially, this means that prices can only go up. It's remarkable that we're not encountering every single drug company taking as much advantage of this competitive pricing model due to lack of regulation, and it underscores the flaws in the pharmaceutical industry and the need for reform. We can all work to become more knowledgeable buyers when it comes to drug pricing, and continue to raise our voices when companies take advantage of consumers.